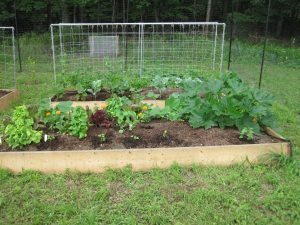 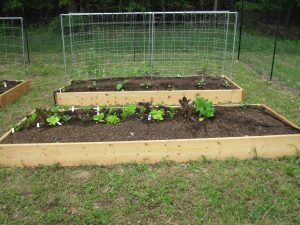 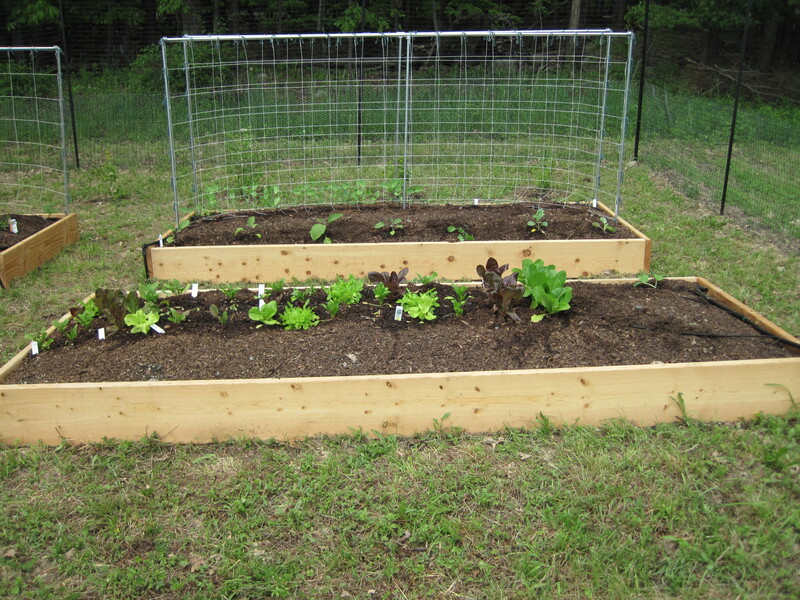 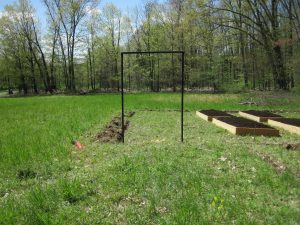 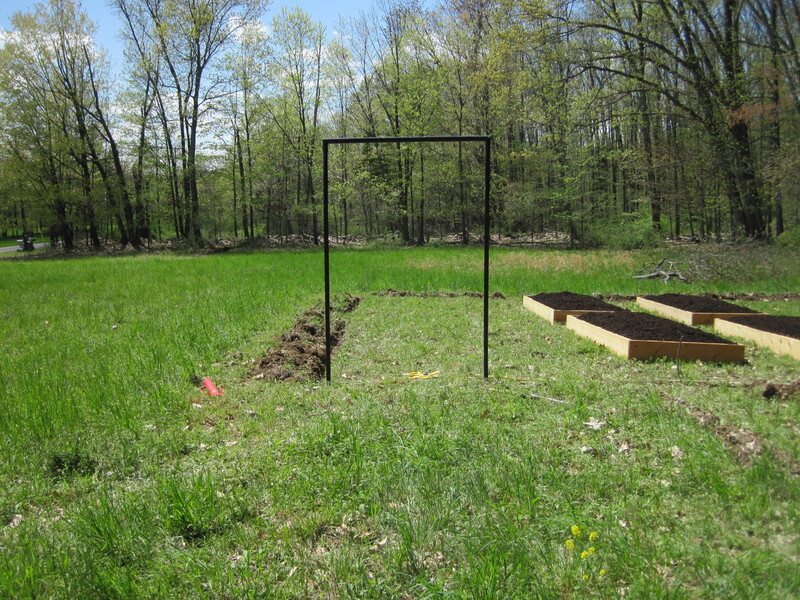 This project started out as 4 4′ x 10′ planting bed project with blueberry plants installed behind the beds and a fence to keep out deer and rodents. 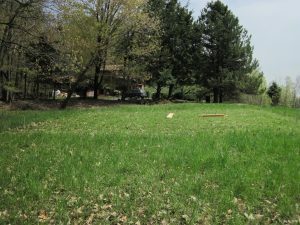 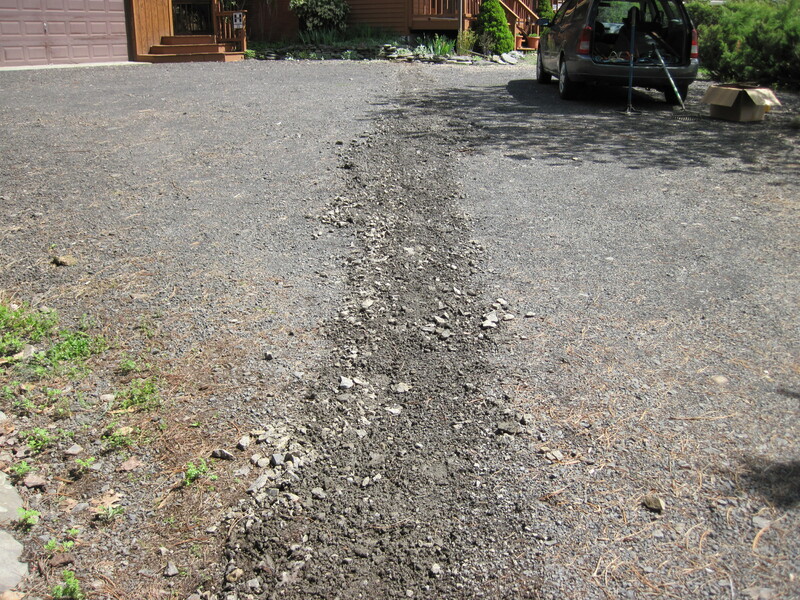 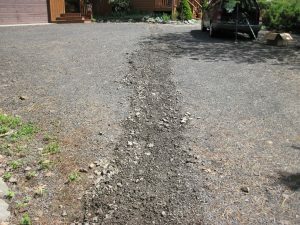 One challenge included getting irrigation to the garden site which was a significant distance from the residence and had to cross a gravel driveway. 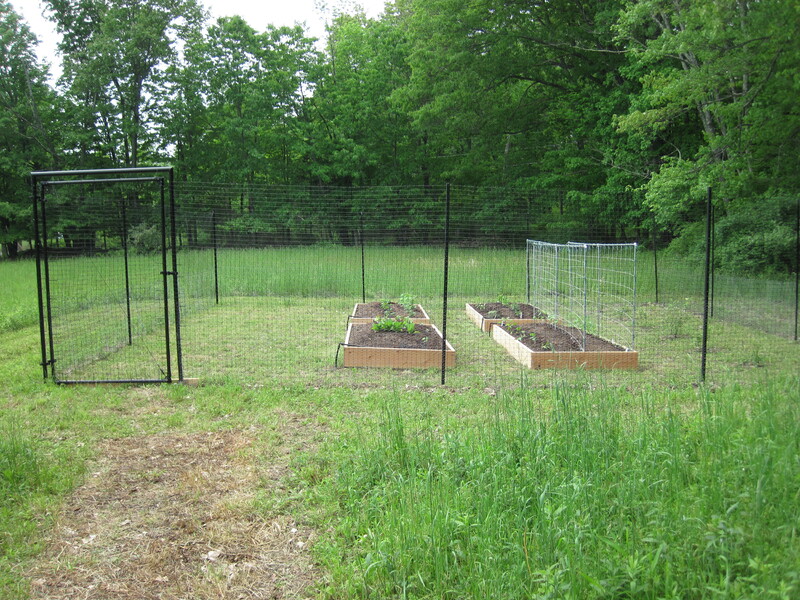 The fence was large enough for the original installation plus room to install an additional two beds in case the clients wanted to expand, which they decided to do the following year. 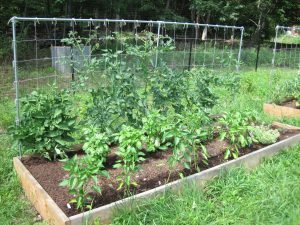 A trench is dug around the fence perimeter to bury the chicken wire to keep out digging rodents. The chicken wire continues 3′ above ground, outside the plastic deer fencing, to keep rodents from chewing through the deer fencing. 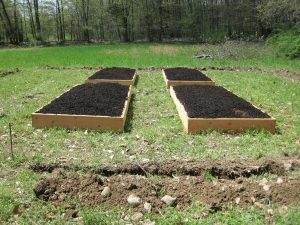 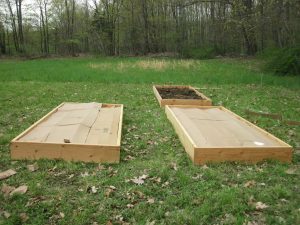 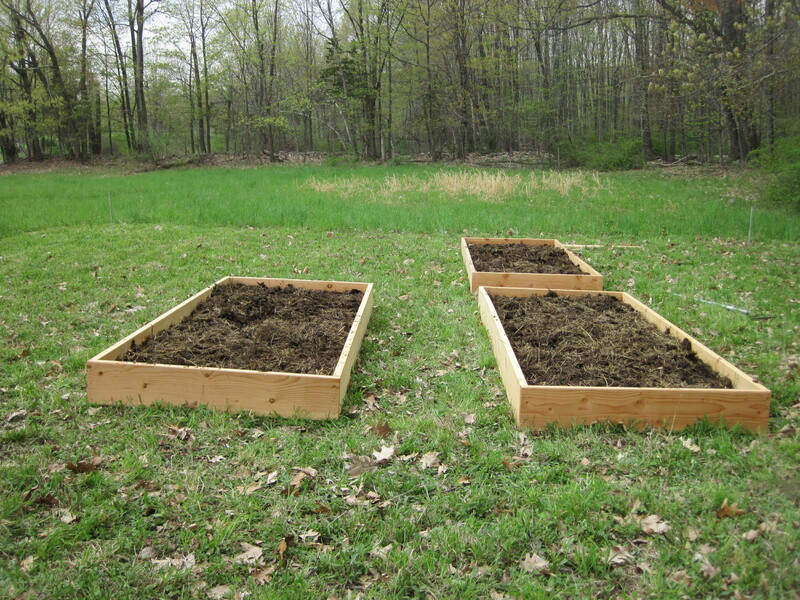 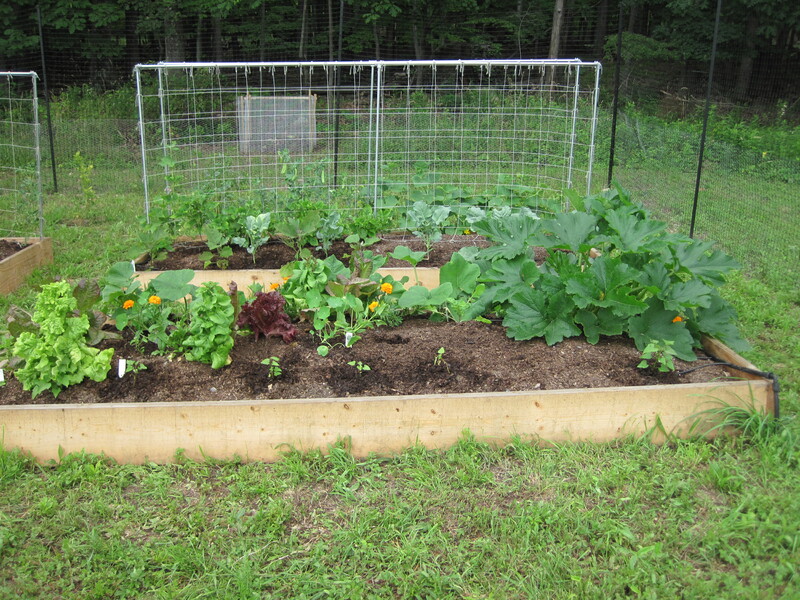 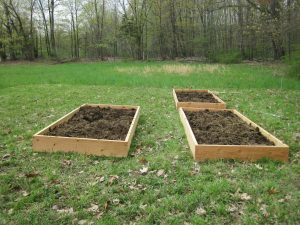 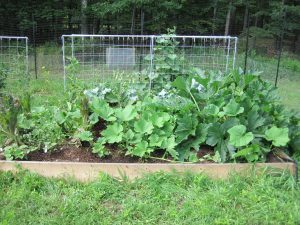 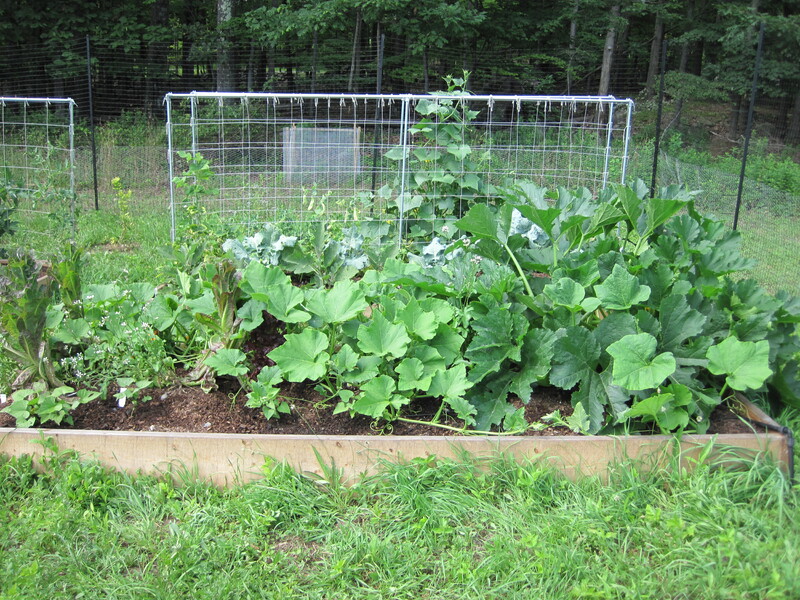 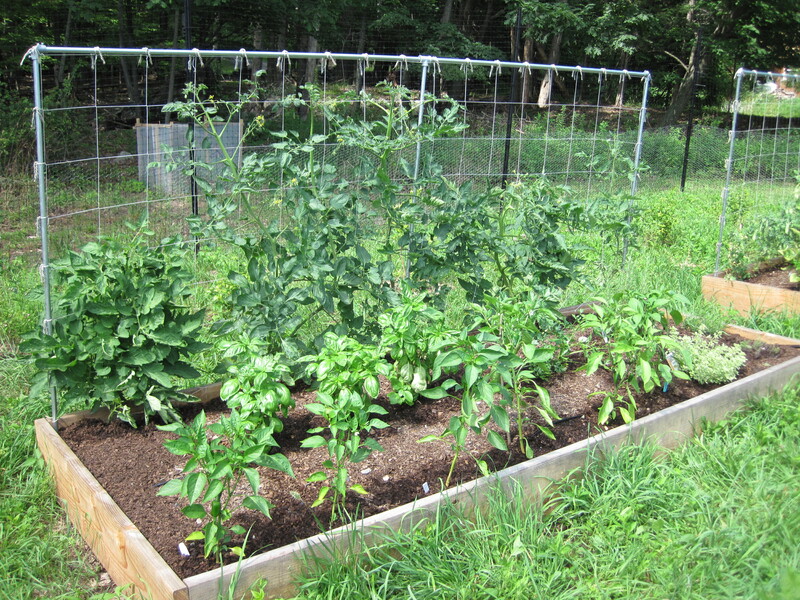 The material inside the planting bed frames consists of used animal bedding, cardboard to keep down any weeds in the animal bedding, and a top layer compost. It is based on the concept of lasagna gardening or sheet mulching.